The crazy idea behind these suspenders is to keep your pants up. If you like to buy ski pants that are too big because the cool kids are doing it, then you just might need help in this category. 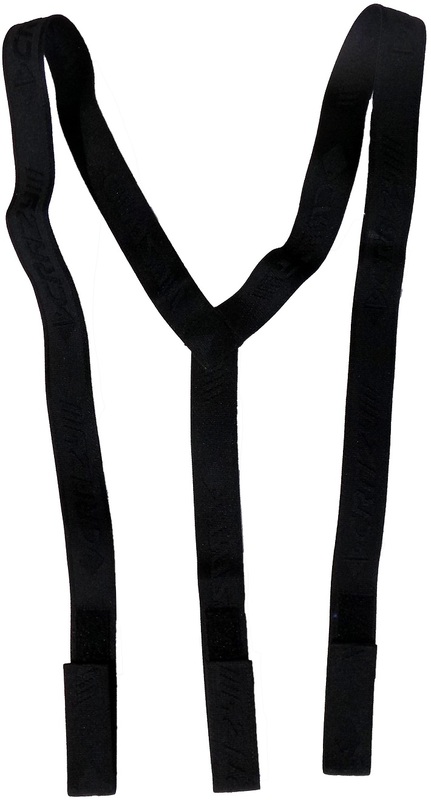 They Crazy Idea suspenders use Velcro and accommodate a wide variety of ski and mountain pants. A bonus feature of suspenders is to hold skins under your jacket where the glue stays nice and warm. Keep your style and gain some function with the Crazy Idea Suspenders. How do these attach to pants? Do I have to add a Velcro patch? Some of the pants have suspender loops built into the inside of the pants. If yours do not, they you would have to add one via a seamstress to make these work.